As a digital marketer, i’ve always relied on A/B testing in order to verify the impact marketing actions have on my client’s users. Most of you will be familiar with this technique; for those who are not, i’m referring to a controlled experiment with two (or more) variants whose goal is to identify changes to user experience that increase or maximize an outcome of interest. This tries to answer questions like “is my call-to-action better off in green or red?” from a scientific perspective. In principle, this is a great opportunity for verifying the immediate effect of your actions on your user base. One word in this last sentence is key though: immediate. In fact, where A/B tests typically struggle is the capability of telling you something about the long term consequences. To explain this, i’ll tell you a real-life story of one of our clients, where the long term impact was the goal. Being in the fast-moving consumer goods industry, our client had a goal of increasing its loyal online customer base. The idea was to drive users to engage in multiple purchases, not just one. Working together with the client’s digital team, our campaign managers defined a specific and user-personalized promotional strategy in order to incentivize visitors to become frequent buyers. A/B testing has been an interesting tool in order to evaluate the impact of these activities on the first purchase of the users, but did not come in handy to evaluate how the overall strategy performed over time: selecting target and control groups during a visit is easy, but nearly impossible to be kept over a period of months as users identification becomes more and more complex in subsequent visits. 99% of users incentivised committed to at least a second purchase during the analysed period; more than 51% made at least 3 subsequent purchases: this is a tremendous increase versus the standard behavior, which was of just 20% users purchasing again and only 2% four or more times. These combined generated an overall positive experience which influenced users’ behavior significantly, as seen in the overall results. These results can come as a surprise and even be labeled as a one of a kind situation. However, studies we conducted in collaboration with the Bocconi University of Milan, Italy, over a sample of dozens of websites data for 12 months confirm that personalized incentives have a tremendous impact in shaping user behavior, as observed in the exposed example, and additionally improve demand seasonality and average order values. More of this to come in a following post, stay tuned! 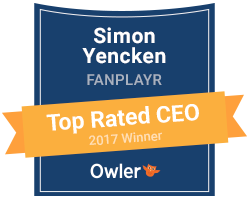 Want to know more about how Fanplayr can help you optimize your eCommerce performance? Do not hesitate to reach out to us.